The Students' Union is delighted to announce the first of Griffith College's BleeperBike stations, located at the front of the SU building. These bikes are Ireland's first stationless bike-sharing scheme, a-pay-as-you-go service similar to dublinbikes that you control through an app on your phone. You can find out all you need to know about the service here. We're thrilled to be able to offer this exciting new service to students on campus. We will have our usual entertainment events starting next week with the Refresher Party at Workman's, and of course, there will be other events throughout the semester - so keep an eye out for the posters! The Griffith Ball will once again take place in the Clayton Burlington Hotel, this year's date is the 26th of April. It promises to be a great event; book your ticket soon! 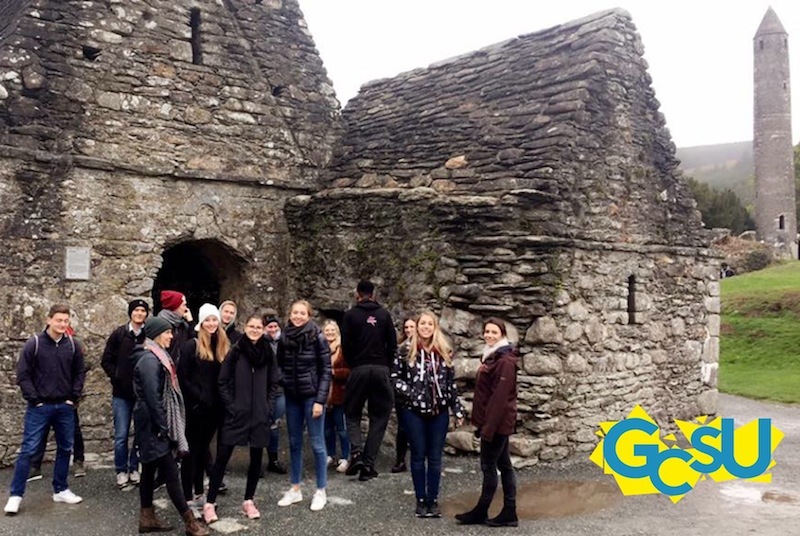 We had three great trips during the fall semester, to Delphi Adventure Centre, the medieval banquet at Bunratty Castle and our hit Glendalough/Kilkenny day trip. In the spring semester, we'll have three further trips to offer students. First up will be our three-day southwest tour, during which we'll take in the Mitchelstown Caves, Blarney Castle (home of the famous Blarney Stone), Killarney National Park and the Ring of Kerry, the beautiful town of Lahinch, the Cliffs of Moher and plenty of incredible sites in between. In March, students will have the chance to experience the wild Atlantic coast on our surf trip over St. Patrick's weekend. We'll cap off the year's travels with a day trip north to the Giant's Causeway in April. Our cricket team head to Belfast this weekend for the intervarsities fresh from their win at the Annual IT Carlow invitational tournament last weekend. Our football team travel to Limerick next week for the quarter-final of the cup, the team hoping to go one better this year after finishing runners up last season! Our men’s basketball team travel to Letterkenny next week, but not before they face DCU this Friday. A win in both games will guarantee the guys a place in the league semi-final. The girls' team, meanwhile, will travel to NUIG in a must-win game. This year, Griffith is hosting the basketball inter-varsities for the first time in the tournament's 60-plus year history. The event will take place in the new national indoor arena in Abbottstown the first weekend in April. Over twenty colleges will be taking part, with thirty-two teams competing - sixteen male and sixteen female. Our volleyball and badminton teams have had mixed results so far but still have all to play for coming into the final round of games!